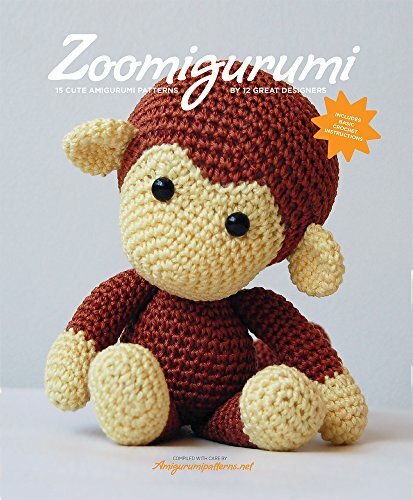 Zoomigurumi is the first pattern book from Amigurumipatterns.net, one of the world’s most popular handicraft websites, where only the cuddliest and most delightful patterns are collected. In this book, 12 designers have teamed up to create an amazing collection of amigurumi animals. Inside you’ll find Levi the Baby Bear, Reco the Pig, Zico the Toucan, Tara the Cat, Roary the Tiger, Leila the Pony, Johnny the Monkey, Lil Quack the Duck, Sartù the Lemur, Bernard the Fox, Dakota the Dog, Eduardo the Donkey, Morton the Moose, Naughty Mice and Wasabi the Bunny. Amigurumi must be the most fun way to use a crochet hook! With just a little practice, you'll make all these amazing designs in a jiffy. If you're not familiar with the techniques, don’t worry, Zoomigurumi covers all the basics so you won't get lost reading your first pattern. If you have any questions about this product by Meteoor Books, contact us by completing and submitting the form below. If you are looking for a specif part number, please include it with your message.